I find baby booties so much easier/faster to knit on single point needles. This latest pattern features a foldover cuff and ribbed toe. 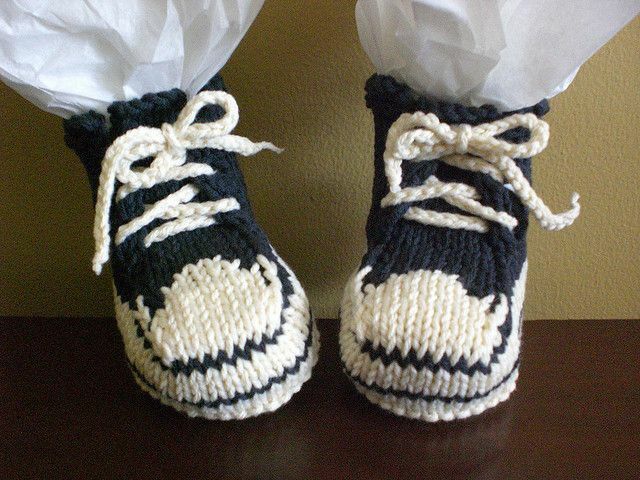 These booties are gender neutral and the pattern is beginner-friendly. This pattern is designed by Erika Knight, a highly respected knitwear designer, with her own yarn range, whose mission is to make knitting simple. It’s knitted in stocking stitch, edged in garter stitch, with the baby’s initial worked in reverse stocking stitch in the centre from the alphabet chart provided.